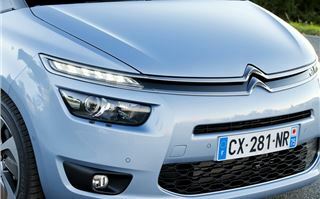 As Citroen looks to move its image away from value cars with big discounts, it is focussing on design and quality. That's just not for its DS models either. 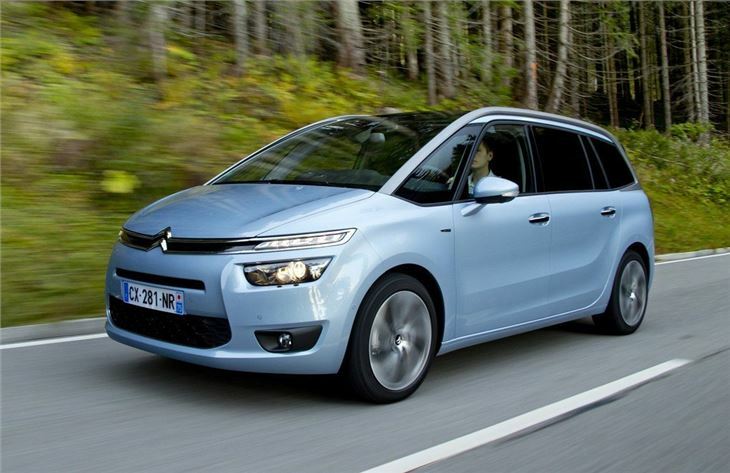 People carriers are a key part of the manufacturers range and as it seemingly rediscovers its flair for design, we're seeing some genuinely stylish MPVs. 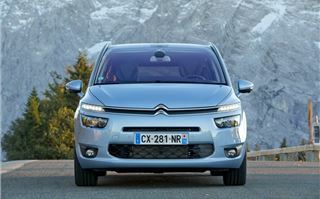 We've already been impressed with the five-seat C4 Picasso and the seven-seat Grand version shares the same front end. 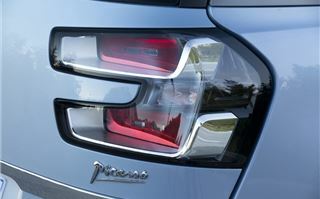 There's a real cutting edge look to it and features like the LED strip above the headlights give it a premium feel. For a people carrier that's more than 4.5 metres long it manages to still looks sleek - no mean feat. 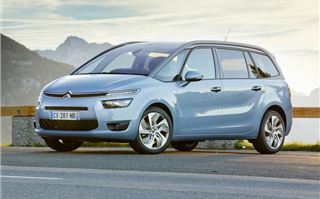 The seven-seat Grand C4 Picasso is longer than before with a larger wheelbase which means better cabin room. 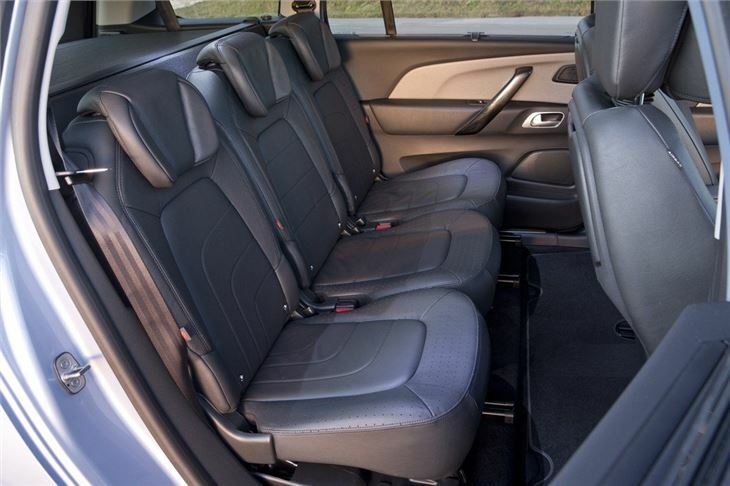 You really notice it in the second row as it's impressively spacious with plenty of legroom, helped by the fact you can slide the seats back and forward. The backs also tilt. 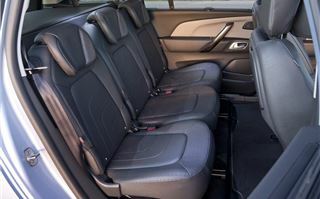 There are three individual seats too and it's not too much of a squeeze with three abreast. Top models come with a panoramic glass roof which makes it feel very light and airy inside, but even without that, there's still plenty of head room. So what about the third row? 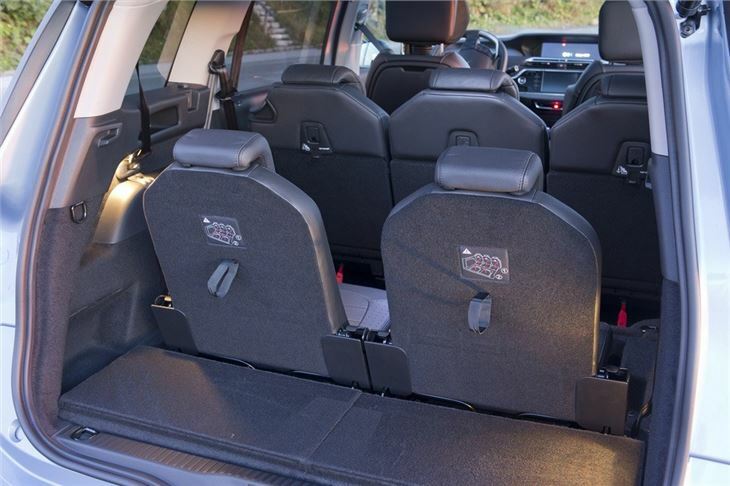 Well getting to them is still a bit tight, but better than other seven-seaters on the market. It's probably a lot easier for younger kids and that's who these seats are aimed at. It would be unfair to call them occasional seats though - once you're sat there, they are actually quite comfortable with decent room for your feet and knees. If you're six foot plus you won't want to spend a long journey there, but children will be quite happy. Of course with the third row in use the boot space is cut dramatically to just 170 litres, although you can still get a fair few bags of shopping in. One gripe is that there's nowhere to put the luggage cover - other people carriers have a dedicated slot for it. But the seats are a doddle to fold up and back down again plus there are neat covers which mean no gaps when the seats are folded down. 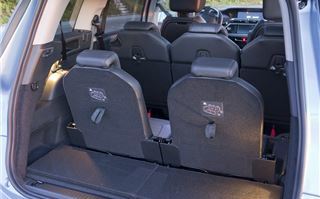 The front of the cabin is no less practical and is also slick in its design with very few buttons. 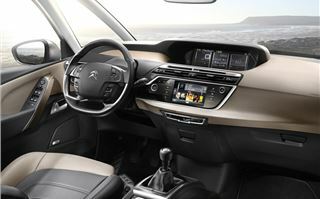 It includes a new media interface with two colour screens - a seven inch touchscreen lower down that controls all the main functions like air con, stereo and the sat nav (if fitted). Above in the dash is a huge 12-inch widescreen that displays the speedo and rev counter (there are no conventional dials) and can be configured to show other information such as trip data or navigation. It's a system that's certainly easy to get to grips with thanks to clear icons either side of the screen, but it can be a little fiddly to use. For instance, if you just want to turn the air con up or down, you have to go to the relevant screen rather than just pressing a button or turning a dial. If you're a busy mum rushing about all day you might find it frustrating. What shines through on the move is the ride quality. 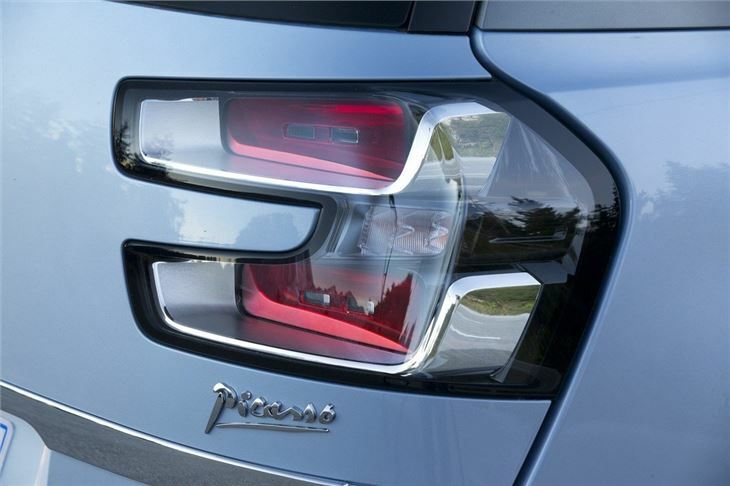 Citroens have traditionally been renowned for a forgiving ride and the Grand C4 Picasso sees a return to that. It's wonderfully smooth and impressively quiet making motorway journeys relaxing. Thanks to that smooth design there's little wind noise either. 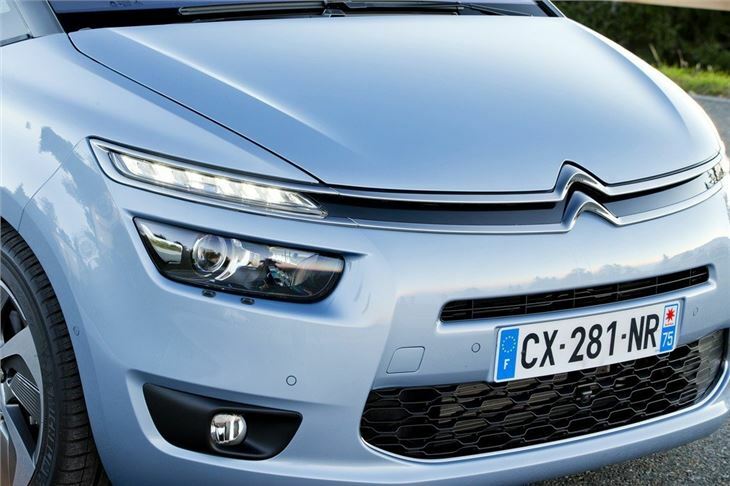 But there's more to the Citroen than just the ride. It also handles well too, with little body roll in most corners and decent front end grip. The electric power steering is a little light, but it responds well and is a huge improvement over the previous model. 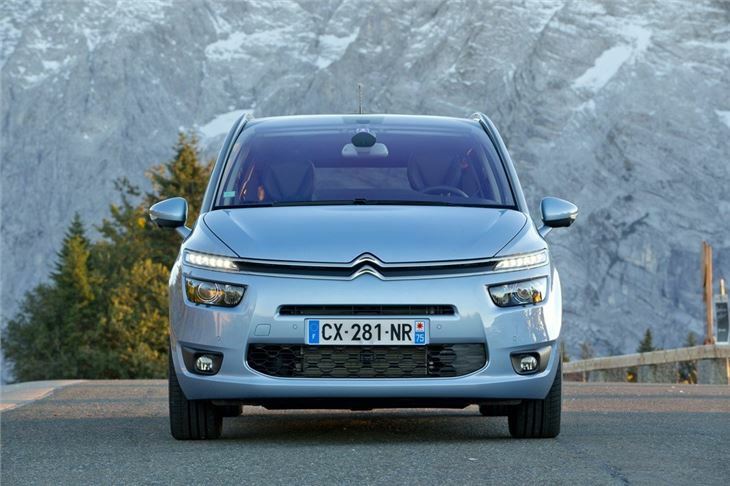 It's helped by the fact that it uses a new Citroen platform - codenamed EMP2 - which will form the basis of nearly all future Citroen models from hatchbacks to estates to SUVs. It's not quite in the same league as the Ford S-MAX, but it's still very good. Despite the extra length and weight, from behind the wheel, the Grand version feels pretty much identical to the five-seat C4 Picasso. It also uses a similar engine line up: a 1.6 VTi petrol engine as the entry-level model along with the a more powerful 1.6 THP with 155PS. However, it's the HDi diesels that make the most sense. There's a 1.6 HDi that comes in two versions, one with 90PS which emits just 98g/km of CO2 - and the other with 115PS. 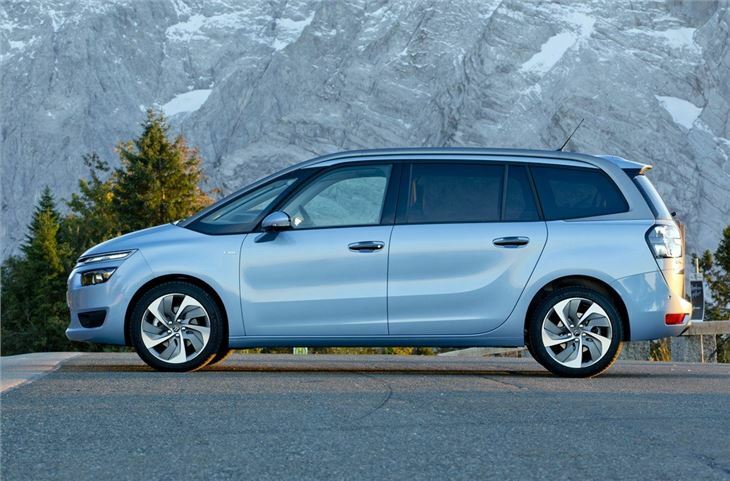 We were impressed with this engine in the standard C4 Picasso, but the Grand C4 Picasso is also available with a more powerful 2.0 BlueHDi with 150PS. This common rail diesel is refined and offers strong yet smooth performance, making it ideal if you're going to regularly be carrying a full complement of passengers and gear in the back. It has 370Nm of torque so at 70mph on the motorway is barely breaking a sweat, yet still has plenty of poke for safe overtaking. It's economical too with the manual version emitting just 110g/km and averaging a claimed 67.3mpg. But the best news is that the much maligned EGS gearbox has been dropped in the 2.0-litre diesel and replaced with a proper six-speed automatic. So there's no more jerky and unexpected changes, instead it's smooth with quick and surprisingly responsive shifts. It's certainly our choice in the range if you want something that's fuss free and undemanding. You just stick it in D using the (rather odd wand-like) steering column gear lever and off you go. 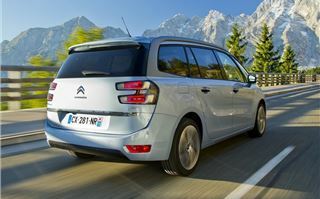 Prices have yet to be announced, but Citroen has indicated that the entry-level 1.6 VTi will cost around £19,200 while the most popular version is expected to be the 1.6 e-HDi 115 Airdream VTR+, which should cost approximately £22,000. 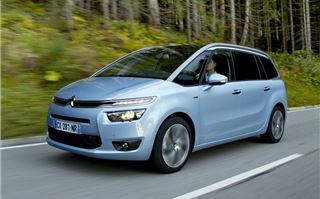 That looks good value for money against competition like the SEAT Alhambra and Mazda5. 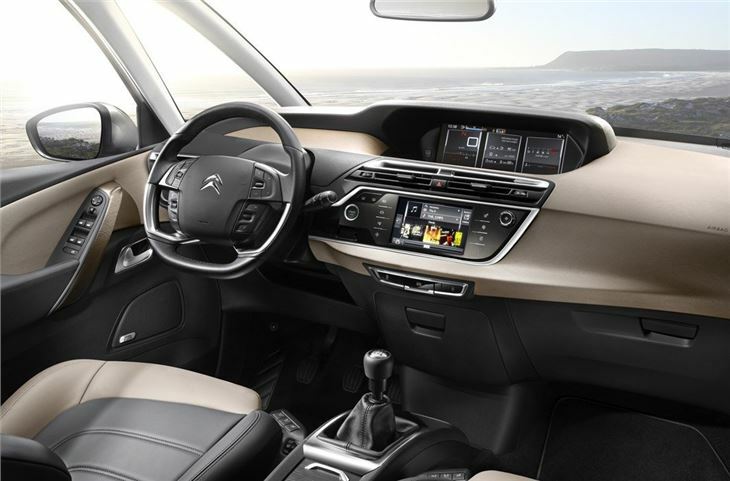 The Grand C4 Picasso is as practical as before but the improvements in the quality of the interior along with the fit and finish really help lift it to another level. 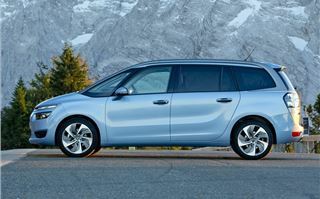 It's certainly one of the best seven seat MPVs around.